During wartime, you will often see equipment get hasty upgrades, looking to make those particular items better than they were coming right off the line. In this case, several T-55 tanks were upgraded to have new fire control systems as well as extra armor against enemy anti-tank weapons. 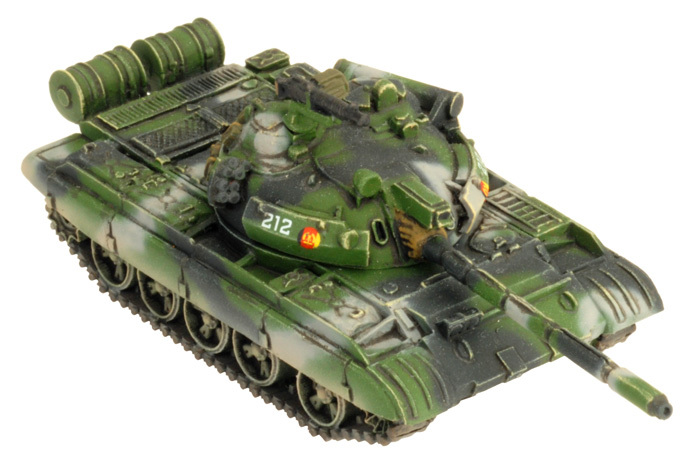 The result is the T-55AM2, which you can bring to the tables of Team Yankee. Check them out here. Of the 2100 T-55 tanks supplied to NVA by the Soviet Union, Czechoslovakia, and Poland, nearly 300 were upgraded to the T-55AM2 standard. The T-55AM2 was fitted with a modern fire control system with a ballistic calculator, calculating such things as air pressure, air temperature, the weight of ammunition, reduced velocity for tube wear, and so on. It was also fitted with a laser rangefinder. Much like the T-72M the T-55AM2 had additional ‘bazooka skirts' added giving it improved protection versus enemy anti-tank guided missiles and other man-portable anti-tank weapons such as Carl Gustav and LAW (light anti-tank weapon). At first glance, the T-55AM2 does not look like an optimal choice to go head-to-head with enemy Abrams, Chieftains and Leopard 2 tanks. It is outmatched in terms of both its anti-tank and armour ratings meaning that a stand-up fight will leave a pile of burning wrecks on one side, and a company of Western tanks fairly untouched on the other. Of course, these stats have resulted in the T-55AM2 points being considerably lower than the Western allies main battle tanks; ten T-55AM2 versus two M1 Abrams both come out at 16 points. 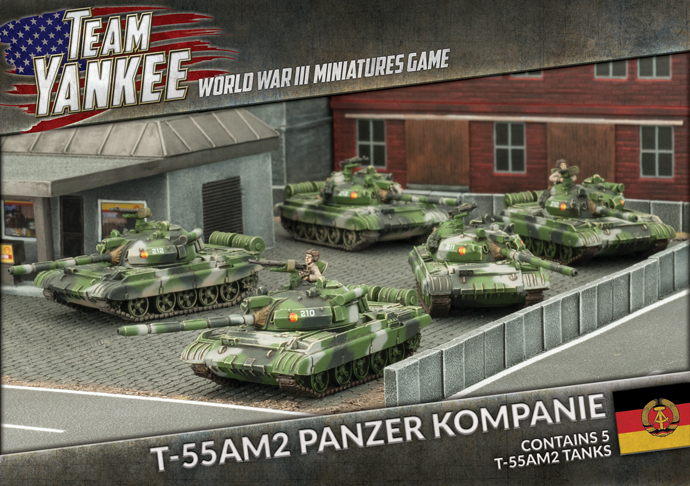 This means that a company (or two) of T-55AM2 tanks can push up the flanks, hunting enemy armoured personnel carriers and other support vehicles, whilst threatening the flanks of the enemy tanks. 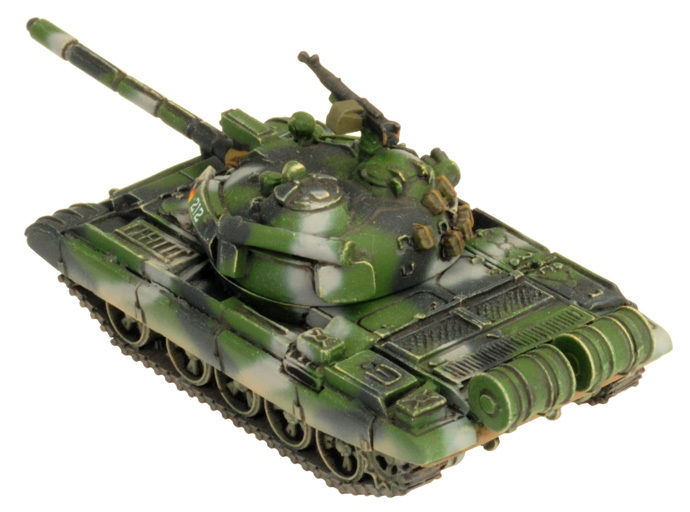 Meanwhile your T-72M tanks will keep the enemy occupied, eventually overwhelming them with superior numbers. Quantity has a quality all of its own.